Michigan: Court Revokes Gubernatorial Revocation! The Michigan Supreme Court has ruled that governors "cannot reduce a prisoner’s sentence and then change their mind." 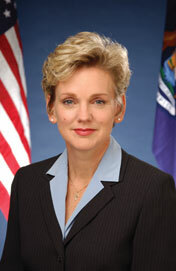 The decision reverses one of Jennifer Granholm’s last acts as Governor - when she commuted the life sentence of Matthew Makowski, making him eligible for parole. See article here. Noting the State's Constitution does not grant "absolute" power to the Governor in the matter of clemency, the Court ruled a commutation of sentence is "final" when it is "signed by the Secretary of State and affixed with the Great Seal" (20). Interestingly, the plaintiff had originally argued finality included "delivery" to the Department of Corrections (4) - no particular attention given to the definition of "delivered" (mailed? waiting to be mailed? received but not opened? opened but not addressed? etc.). Quite oddly, the Court could not imagine "at what point the power [to revoke] would cease" (22) - the long held, traditional and widely known suggesting being when an act of clemency is delivered into the hands of (and accepted by) the recipient. See the Supreme Court's opinion here.